The days are cooler and shorter, not to mention altogether darker ... those adjectives alone make me think of my current hit list of the 6-pack variety. Here's a beer selection carefully vetted to warm your heart when there’s a chill in the air. May these full-bodied and best winter beers offer a little extra insulation as we brave a blast of Old Man Winter for another exciting season in the Midwest. So, without further ado, let’s take a look at this seasonal selection of winter beer styles and the crazy-talented brewers who made it possible. First up is a seasonal Double Stout that really sums up what makes a winter beer a... winter beer. It’s exactly what you’d imagine drinking inside a warm cabin, as evening snow covers the forest floor in a hushed white blanket. With its proud, dark hue and full-bodied roast flavor, Giantsbane from Fair State is pure comfort inside a glass. 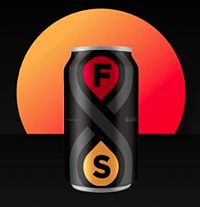 Fair State describes Giantsbane as “a beer built for long, dark winters” that combines specialty brown malt and oats. It’s visually heartwarming with a gorgeous mocha head and is remarkably easy-drinking for an 8% ABV Double Stout. Minnesotans know winter, and Minneapolis-based Fair State certainly knows how to craft an inspiring winter brew. “Flag!” he shouted as a pike took the shiner minnow and sprung the tip-up. At once, three of four ice anglers in the fish house dashed out the door, racing and elbowing each other to reach the hole first. The fourth and wisest fisherman remained comfortable in his chair. After all, he had just opened a can of Beaver Island Brewing Co.'s Winter Ale, and nothing was going to interrupt that. St. Cloud’s Beaver Island Brewing created their Tip Up Winter Ale “To encompass the joys of a Minnesota winter,” which naturally includes ice fishing. Tip Up is the embodiment of four select malts and fresh hops grown right down the road in Clear Lake, MN at RF Doering Farms. A late kettle addition of young Minnesota spruce tips finishes this German-inspired ale with a lingering delight. But be careful you Northlanders… at ABV 7.3%, too many Tip Ups might tip you over. At the St. Paul Winter Carnival in 1986, skilled craftsmen and women built one of the most stunning ice palaces ever conceived. Lit up at night, it was a sight to behold, and more than one proud Minnesotan marveled at it while enjoying a new beer that had just broken onto the scene that same year: Summit Brewing Company. 32 years have passed; the Winter Carnival is still a major celebration in Minnesota, and Summit continues their mission of crafting honest ales for people who love beer. 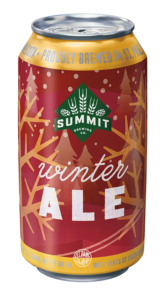 Of their Winter Ale, the folks at Summit promise that it’s “As comforting as a down blanket, and way better tasting.” So true, and not surprising that it scored “Best of the Midwest” in the U.S. Beer Tasting Championships - twice! 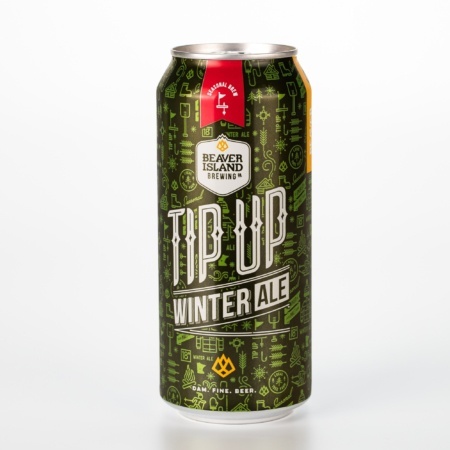 Winter Ale has a toasted malt flavor with hints of espresso, caramel, black cherry, cocoa and a dash of hop spice. “It’ll warm your cockles. Whatever those are,” Summit says. A monk drove his spile into a Sugar Maple at Saint John’s Abbey in Collegeville, MN. It immediately began pouring crystal-clear sweetness destined for greatness. The yield from that tree and others would later make its way to the “Sugar Shack” at St. John’s Abbey, where the monks use their secret techniques to turn Minnesota sap into the most heavenly maple syrup on earth. Those monks are such nice guys that they agreed to give Third Street Brewhouse exclusive rights to their maple syrup. It’s the pivotal ingredient in Third Street Sugar Shack – a deep red-black sweet stout that looks as rich as it tastes. It hits the taste buds with the right hint of bitter, then finishes with that marvelous maple. For you hunters, it’s a natural companion to a venison feast, so make sure to have some on hand. The legend lives on from the Chippewa on down, of the big lake they call Gitche Gumee. On her western shore is the hard-working town of Two Harbors, where “Watch out for deer” is the equivalent of saying “I love you.” The people of Two Harbors remain true to their European ideals of working hard, playing hard and drinking beers with old-world pedigree. 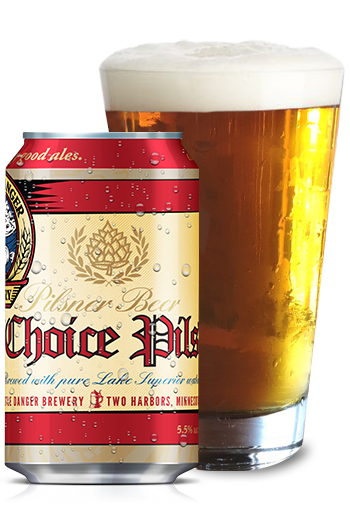 One such beer, crafted right in Two Harbors with pure Lake Superior water, is Castle Danger Choice Pils. Castle brews it in a classic German pilsner tradition, using fine German malts and Saaz and Cascade hops for a floral, citrusy, spicy zing. Whether you’re unwinding after a hard day’s work, taking a break on the slopes, or sitting around the fire with friends, this pilsner from Castle Danger is the right choice. From Thanksgiving on through to the spring thaw, winter is a time to be appreciative of family, friends, and of course, beer. And let’s face it, there’s no better way to celebrate that than by raising a glass with the ones you love. Next time you do, let it be with New Belgium’s Accumulation White IPA. Accumulation heralds from Fort Collins, Colorado - a state where winter is the best season of them all. They brew this white IPA as “A way to salute the white beauty falling from the sky,” using plenty of Mosaic and Amarillo hop varietals and a bit of wheat for a smooth mouthfeel. 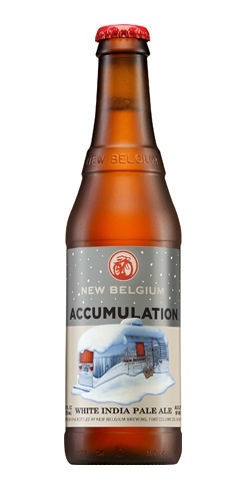 Pick up a six pack of New Belgium Accumulation and I promise, it’ll brighten your winter with every sip. I meant what I touched upon in Accumulation's section. Thanksgiving is often the gateway for the most celebratory season and beverages play a key role alongside the turkey, Christmas ham, and black-eyed peas historically served on New Year's Day (for good luck!) and we're grateful for the support our brands and independent breweries have. It goes without mention to always enjoy our suggested beer recommendations responsibly and in the company of good people.